Q. I’ve been told that if I’m installing wood floorcoverings, I need to put a damp proof membrane (DPM) down first no matter what. Is this true? A. Whether or not you need to install a damp proof membrane depends on the degree of moisture present in the subfloor. 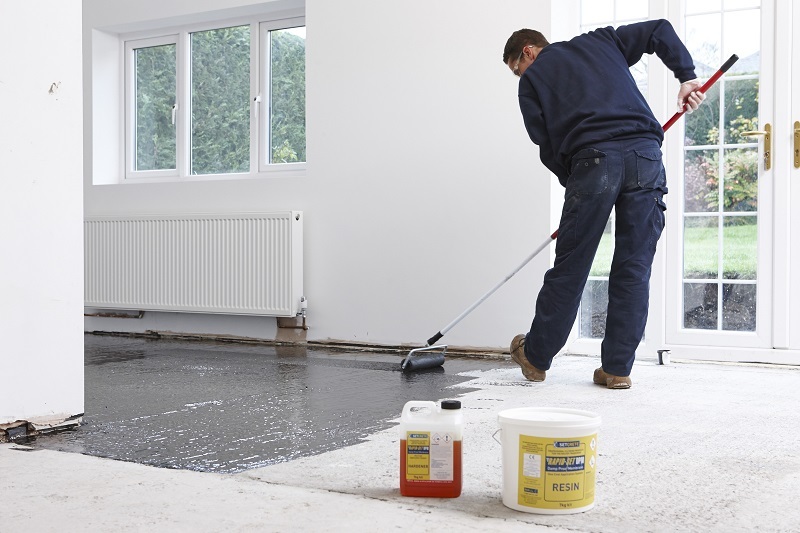 If it’s above 75 per cent relative humidity, then we always recommend that you apply a DPM to the subfloor before any type of floorcovering is installed, be it quarry tiles, carpet, or vinyl. However, when installing wood floor-coverings, we recommend that a DPM should be used if the relative humidity levels register 65 per cent or above, but your wood flooring supplier should always be consulted. Hand-held moisture meters offer a fairly reliable way to ascertain the relative humidity levels of a subfloor, but you will need to use a digital hygrometer to get a truly accurate reading. In most cases, it is simply easier and safer to install a damp proof membrane if any level of moisture is detected. It is also important to note that, prior to 1965, it wasn’t mandatory for buildings to incorporate a structural DPM. So, when working in a building constructed before then, it’s advisable to install a DPM regardless of moisture levels. Epoxy resin DPMs offer a quick, easy and reliable option for professional builders. Top quality DPMs require a single coat application, and will completely cure in just three hours. Q. I’m currently knocking through two rooms, but there is a 60mm difference between the floor levels of the two rooms. What’s the best way to fix this? A. There are now deep base levelling compounds that have been specifically designed for levelling out subfloors with differing heights. While traditional levelling compounds can typically only be applied in thicknesses up to 10mm, some deep base compounds can be applied in one application up to 50mm. The best deep base compounds are easy to apply, and can be capped with up to 10mm of another levelling compound after just 90 minutes. You could, therefore, achieve an even, level join between the rooms in a few hours. 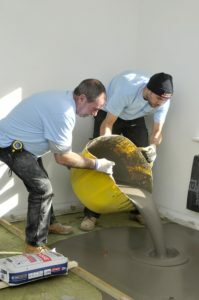 This is significantly faster than using a traditional sand/cement screed to even-up the two subfloors, which can take as long as one day per millimeter thickness to dry. Of course, it is possible to use multiple layers of traditional levelling compounds to even out the subfloors, but this will take longer and cost more as you will only be able to raise the floor level by around 10mm at a time.